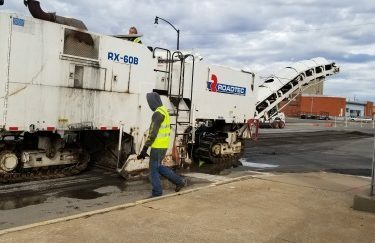 A project to mill and overlay the roadway surface in the intersection of First Street and Cleveland Avenu started Tuesday morning. The project is expected to be completed within two days. During construction, north/south traffic will be diverted to 2nd Street and east/west traffic will be diverted to Grand Avenue.